EduSynch signs partnership with Puerto Rico-based outsourcing firm, Aventus, to use EduSynch's English language proficiency testing software for new job applicants/cadidates. We are very excited to be expanding our presence in Puerto Rico and in the outsourcing industry. EduSynch (by Dokimi, Inc.) is pleased to announce that the company has signed a deal with Aventus to pilot EduSynch's platform as its primary testing software to assess the English language proficiency of new job applicants/candidates. Aventus is one of the top outsourcing firms headquartered in Puerto Rico, with over 750 employees across 4 sites. The firm provides quality customer support and services to dozens of Fortune 500 clients and partners with a large network of highly skilled professionals. 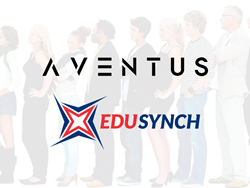 Aventus has decided to partner with EduSynch in an effort to streamline their interviewing and hiring processes through the use of high-quality, online English language proficiency testing as well as advanced reporting and analytics for HR staff and administrators. ”Aventus is always on the forefront of new technologies and systems germane to the contact center and CX space. It seemed only natural we’d lead the way in candidate evaluation technologies to better scale our best-in-class workforce,” says Josh Royal, Aventus’ Founder and CEO. As the need for a quality bilingual workforce increases everyday, the difficulties of recruiting and hiring for HR teams have become even more complicated over the years. With thousands of potential job applicants/candidates appearing during the year, the amount of time, money, and energy dedicated to interviews and hiring has resulted in a major pain point for companies - particularly as it pertains to testing for English language proficiency. “This partnership with Aventus is one of our first deployments in Puerto Rico and is already acting as an interesting success case for other outsourcing firms that are looking for a new and innovative way to streamline their English language assessment needs”, says Sean Kilachand, Founder and CEO of EduSynch. “The pilot has already begun, and first impressions have been quite positive,” says Adam J. Plotkin, COO of EduSynch. “We are very excited to be expanding our presence in Puerto Rico and in the outsourcing industry”. With this new deployment in Puerto Rico, EduSynch is now looking to partner with other outsourcing firms and service providers in the area and in surrounding regions, such as the Dominican Republic and Costa Rica.